In honor of Women’s History Month, this will be the first in a series of posts on women in science and engineering. As a woman engineer myself, and later as a technical editor and writer, I’ve had the privilege of meeting and interviewing a number of remarkable women in science and engineering whose achievements equal those of their political, artistic and pedagogical counterparts. Today I’d like to highlight the first woman engineer I ever covered—in an article I wrote for The Orbiter, employee newsletter of The Aerospace Corporation, El Segundo, Calif.
Woman Engineer Dr. Roberta J. Nichols Credit: The Aerospace Corp. 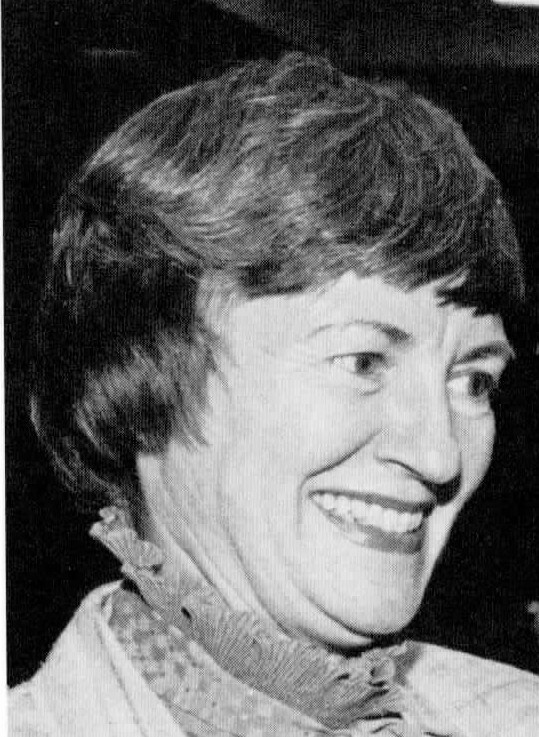 The year was 1985, and Dr. Roberta J. Nichols, a former employee and Aerospace Woman of the Year, had been invited back to speak during the company’s annual Women’s Week celebration. Nichols’ story may sound typical of many women engineers of that era. According to the LA Times, she was born in 1931 and grew up following her father around to junkyards and learning to weld as they fixed up old cars together. Later, her hobbies included dragboat, hydroplane and vintage car racing. Happily, she was able to carry over these passions into her professional life. Nichols continued to follow her father’s footsteps into engineering. She earned a bachelor’s degree in physics, and then a master’s degree and PhD in environmental engineering (my own field). During that same time period, she also married, raised two children, and worked at Aerospace on weapons systems and air quality controls. Then came the oil crisis of the late 1970s, and like everyone else waiting in long lines, hoping their car didn’t run out of gas before reaching the pump, Nichols realized that the country needed to plan ahead to avoid a repeat of this calamity. As a race car driver who knew engines and fuels, her response was to convert the family’s Pinto station wagon to run on methanol. The Ford Motor Company learned of this accomplishment and hired her away from Aerospace in 1979. Once in Detroit, Nichols helped develop engines that would run on alternative fuels (Later, as part of her research, she raced an electric Ford Ecostar van in an exhibition run of the American Tour de Sol, coming in at second place in her division). Most of her research was done on Flex Fuel Vehicles (FFVs) that could run on either methanol or gasoline. According to Nichols, the trick to making an FFV was to create a fuel system that could stand up to both fuels, as well as sensors that could detect the exact fuel mixture and adjust the spark plugs and timing automatically (see this article). By the time I heard Dr. Nichols speak at Aerospace in 1985, she was already considered an expert in alternative fuels. Methanol, she said, could be made from biomass and wastes, from natural gas, and even from coal. As a bonus, methanol delivers more power and is more fuel efficient than gasoline. And it gives off less nitrous oxide and generates less ozone. Coming from an engineering perspective, she knew that the best choice of fuel did not need to be a one-size-fits a-all decision. However, she recognized that the environmental benefits of alternative fuels had become the driving force for their development. In the mid-1980s, Nichols said that the consensus in the industry was that by the year 2000, methanol would probably become the standard alternative fuel, for reasons of performance, environmental quality, and ease of use in the existing pipeline and fueling infrastructure. Looking back we know her projection did not prove out. Due to a number of factors, support for methanol-fueled cars began to wane in the 1980s, while ethanol FFVs, and later, electric cars became more popular. Some 18 years after the Aerospace talk, Dr. Nichols laid out the history of her work on alternative fuel vehicles in a paper titled The Methanol Story. She discussed the pros and cons of each of the alternatives to gasoline, including ethanol, methanol, natural gas, electric, and hydrogen fuel cell propulsion. And she may yet prove right! Please contact me for help writing whitepapers, technical articles and blog posts for your organization. 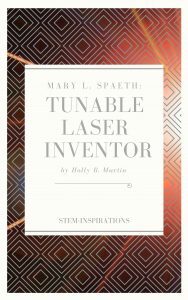 This entry was posted in Blog, Blog, Energy, Environment, Science & Tech, STEM, Women in Science and Engineering and tagged aerospace, environmental engineering, STEM, STEM careers, Women in Science and Engineering, Women's History Month on March 10, 2014 by Holly.